Home Archive by Category "Kings Cross"
People have this preconceived idea that London is expensive. Now of course that can be true, if you hang around movie stars and celebrities. But, you can enjoy London for next to nothing if you know where to look. Coming up, some great ideas that will help you to make the most of your time here in the city. There are so many things you can do in London, it’s ridiculous. Whoever said you can’t enjoy life with a little less? Of course you can, and we are here to prove it to you. First let’s think transportation. You will need to get around London, so why not get a bike and experience London like never before? 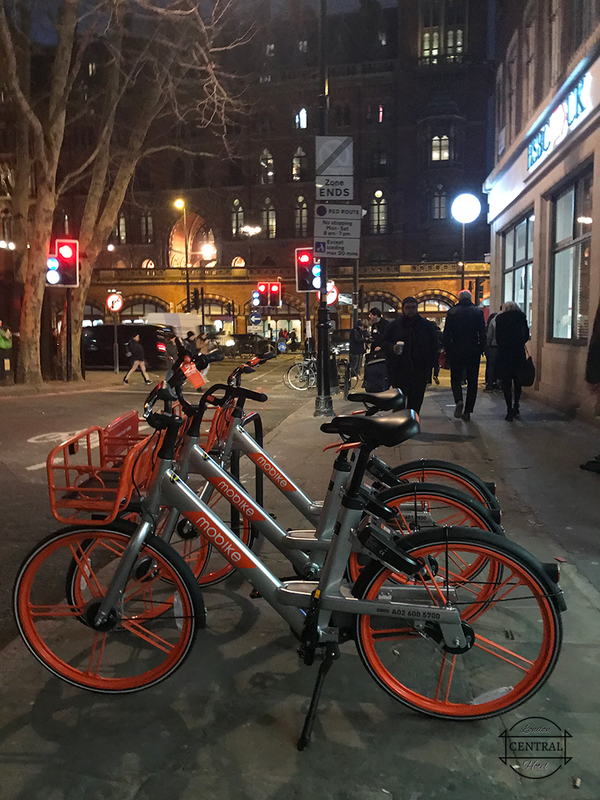 You can get a Santander Cycle for just £2 for 24 hours or you can get a Mobike from various locations around central London, including just outside the Central Hotel London (that’s us). It’s a new and enjoyable way to experience the city. You can park wherever you want in many central locations and return the bike by signing out. You can ride to Camden town and experience a different part of the city or you can ride around Kings Cross or the brand new Coal Drop Yard. Now, food time! When you get hungry you can grab a tasty lunch such as a burrito or mac ‘n’ cheese from a street food truck for only a fiver (that’s £5 to our foreign visitors). For vegan diners, a delicious sandwich from Veggie Pret is also around £5, and there’s one really close to Kings Cross Station. Next it’s time for entertainment. If you fancy a laugh, London hosts some of the world’s best stand-up comedy, with some of the best in the world performing right here. Before you head into a comedy gig, look out for comedy club promoters, you can distinguish them by their red t-shirts. Usually you can get a 50% discount if you get one of their vouchers, so that’ll only cost you around £5 again. You might not be into comedy, right? Well, you can always visit a late night museum, the Barbican galleries are open until 10pm every Thursday during exhibition events. On top of that, you can enjoy special events or talks which are generally free. If you fancy a drink you can enjoy one while you listen to a DJ mixing music for you too. For a look back into history, check out the British Museum, the Camden Arts Centre, the amazing Design Museum, Handel House Museum or the London Transport Museum. You could visit the world famous National Portrait Gallery or relax at Late Shift Bar, Portrait café or the Portrait Restaurant to mix creative input with your meal. Okay, so maybe something a little different….. I get it, you want something more, you want to do something that will involve a bit of anxiety. Then you will love Café Kick. You can score some goals and thrash your friends at the table football for only £1. Besides their Bonzini tables they have an international selection of beers, continental food, world music and three French football tables to go with the world theme. Talking about beer, there is an amazing bar you really should visit, Brewdog. Yeah I know, right? It’s not your traditional British pub that serves Guinness and Stella Artois. They serve only their own beer (BrewDog) and they have a large variety of options. When I visited, there was a lady in front of me speaking to the barman about all their beers and how different the taste is from other beers. They were at it for 15 minutes… Eventually I ordered from another barman, I couldn’t wait any longer. It’s definitely worth a visit to try something different. Their beer is under £5 a pint, too. Once you’ve enjoyed your BrewDog pint, head out and experience some live music. The Jazz Café in Camden hosts a mix of breakthrough afrobeat, rap, reggae and disco throughout the week, with some under-the-radar gigs and events costing no more than £10 for entry. The best way to check out the cheapest tickets is via an app like: https://tickets.london or from their official website. We think one of the best ways to experience London is to visit Sky Garden at 20 Fenchurch Street. It’s located among three storeys of exquisite public gardens, with 360-degree panoramic city views as a backdrop. You can book your visit for free here: skygarden.london/booking. It also has a stunning restaurant and two destination bars, but maybe on your £20 budget it might be best to eat before you go! If you love great views you can gaze at the river Thames through a pair of binoculars at the Morpeth Arms’ Spying Room, whilst enjoying a pint for under the magical fiver. Then maybe after the food, beer and music you’re ready for a decent walk and the chance to learn about some local murders…. So, to scare you a little, how about trying out the Jack the Ripper Ghost Walks? At a cost of just £10, it’s an exciting trip that you will probably remember for the rest of your life. Finally, not everybody is into the same things, so that’s why if you love travel and sightseeing you could take a canal boat ride from Little Venice to Camden for £9.50. You will enjoy a glorious trip on a boat and experience London from an entirely different perspective. There are so many things that you can do in this glorious city that it blows me away. You can’t visit London just once and of course there are so many things to discover, to learn, to explore and do to. With the ideas that we shared with you today, you can explore London for just £20 by choosing one or two activities. There is no reason why you should stay in your room and not experience this amazing city, so let’s go, let’s see and explore more. 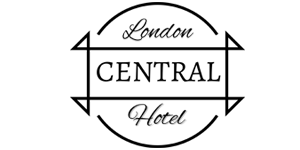 If you are thinking of visiting London and haven’t’ booked your stay, then of course you can book directly on our website to get the very best rate. Book today to avoid disappointment and follow us on Instagram for more inspirational ideas.